One the things people do not like about YouTube is that it does not allow you to download videos directly from the site. With Android, this problem has been resolved. There are plenty of Video downloaders that users can download to get an online video on their phone for watching it offline later. 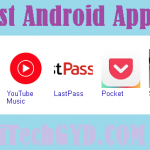 We have found the ten best video downloaders for Android 2019. YouTube Go deserves some major recognition since it allows the user to download videos without any third party application. You can simply stream live videos and download any one you want. There are Standard and Basic video prints available for download. Till now, there is no HD print available but it is expected to be available in the future this app is still in the phase of developing. Another cool feature is that users can share their downloaded videos with their friends or contact through various portals. ITube studio is one of the best and fastest video downloader out there. Users can download videos from over 10,000 sites with a simple click on the Download button. Furthermore, they can also download the whole playlist from YouTube in just one click. The app offers the user to change the video format into 153 video formats according to the compatibility of their device. It is available for free on the Play Store. VidMate is another popular Video Downloader that allows the user to download videos from YouTube, Daily Motion, and Facebook. With this app, users can download high-quality videos from all these websites and even stream them online. Not only short videos, users can also download anime, TV series and long movies from VidMate. This app works without any hindrance because it only allows legal movies, not pirated ones. The best part is that it is completely free of cost. Videoder is another Video downloader for Android. It lets users download videos from YouTube, Facebook, Vimeo, and Instagram. You can also convert music and song files and download them for your offline watching. All these features come free of cost. Users can download HD videos and even convert video files from any website to audio files or vice versa. FVD is a free Android Downloader. It is quite convenient to use since, upon installation, the app integrates itself into the browser. So, if on any website, there is any video that can be downloaded and is compatible, the user can download this video by clicking on the download button that appears on the side. Quite unfortunately, this app is not compatible with YouTube due to some restriction of the site. Snaptube is another Video downloader for Android that works quite well and also comes to cost without any in-app purchases. The app lets you download videos from all the websites. It even has a search system available in it in which users can search for music and videos from a number of websites. The videos cannot be downloaded in UHD and QHD format. In case your connection goes down, you can also resume downloads once you regain the connection. The only downside to this downloader is excessive in-app advertisements that you will have to put up with. TubeMate is a video downloader specifically aimed at downloading videos from YouTube. Users can download videos and movies from YouTube in any resolution. This app also has resolutions which are compatible with tablets. So, it is equally convenient for use for Android phones and tablets. Downloads are accelerated and uninterrupted with this downloader. 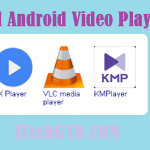 AVD is one of the most used video downloaders on Play Store. It has over 5 million downloads and counting. You can download videos from various sites, excluding YouTube, in HD, 4k, and 1080 formats. 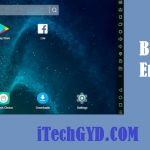 This app has an easy to use interface and it also comes with an Android browser which makes it easier for the user to search for videos or just browse the net for anything. 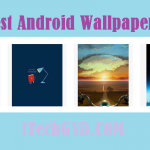 If you want a free downloader for your Android device, Free Video Downloader is probably the best choice. It has over 10 million downloads till date. You can download videos from a variety of websites. Before starting the download, the popup gives you an option to choose the format or resolution of your choice. The videos download at a decent speed and you can also check the progress of your downloads from time to time. The app also has an additional feature of resuming your downloads in case you lose the connection. UC Browser is one of the most used and most well-known Android Video Downloader. It comes with an in-built browser which lets you surf the net and quickly download anything you like. You can download various files at once or just start them for downloading and choose how many files you want to be downloaded at the same time. There are also other features like surfing in incognito mode. The downloads are extremely fast and you can also resume your downloads if you lose connection. The browser does not only let you download videos, it also lets you download TV series, Movies and Reality shows from websites on the net. These are just a few of the video downloaders that you can use to save your videos offline. Most of these cost nothing at all and offer various features, which is quite a catch. Some of them even come with an inbuilt storage for your videos. You can choose any video downloader of your own choice i.e. anything that suits your needs.